Last year, the elder care attorneys at The Elder Law Firm PC conducted nearly 70 seminars throughout the greater Grand Rapids area — speaking to over 1,500 families about asset protection. Our firm assisted over 300 families with creating asset protection plans, and we began posting weekly updates on our website to provide additional information at the click of a button. We are preparing to continue our endeavors throughout 2013 and are looking forward to helping another 300 families protect their assets from the rising costs of long-term care. One couple, who came to us over five years ago, experienced the benefits of planning ahead earlier this year. Without divulging any confidential information, it is sufficient to say that an intervening medical crisis did not upset the couple’s retirement plans. 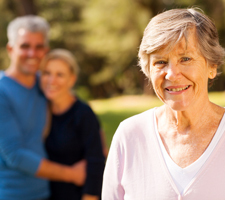 When the need arose and skilled nursing care was imminent for one of the spouses, the couple contacted us immediately, and we were able to take action on their behalf. Since the couple had prepared an Asset Protection Plan, they were able to get a semi-private room in a skilled nursing facility, they had control over the amounts they wanted to pay for that room — and they qualified for Medicaid without being forced to spend down everything they had. Furthermore, the spouse still living at home is comforted by knowing that his wife is getting the care that she needs — while help for him is still just a phone call away. This family represents only one of many for whom we were able to make a difference last year. Planning ahead protected this couple’s assets from a possible three-year spend down at a rate of approximately $70,000 per year. Even so, the benefits of planning ahead are so much more than just financial. You cannot put a price on the peace of mind that is created when you know that you are taken care of and that you are still in control. Our mission has always been to educate and inform retirees about the most effective estate preservation strategies in the face of rising costs for long-term care. 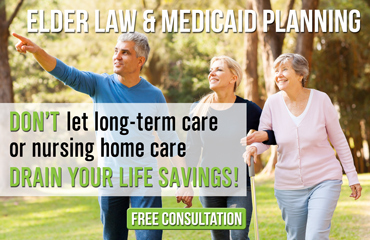 We always inform our clients about the pros and cons of the various plans they have if an intervening medical crisis required them to seek out long-term care. At every seminar we ask, “If what you thought was true about your estate planning turned out not to be true, how soon would you like to know?” If you don’t know the answer to that question, we encourage you to attend any one of our free workshops this year. If you do know the answer to that question, we ask, “What steps have you taken to assess your current estate plan?” There are many different strategies that can be implemented for estate preservation, and the more informed you are about the options available, the more informed decisions you can make about which plan is right for you. It is never too early to become informed and properly plan ahead.